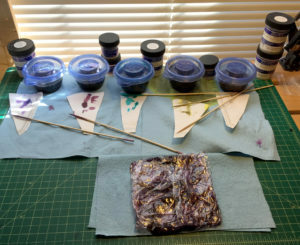 I’m in the middle of dyeing some silk and cotton thread. Yes, there was a bit of spillage! No harm done, though. 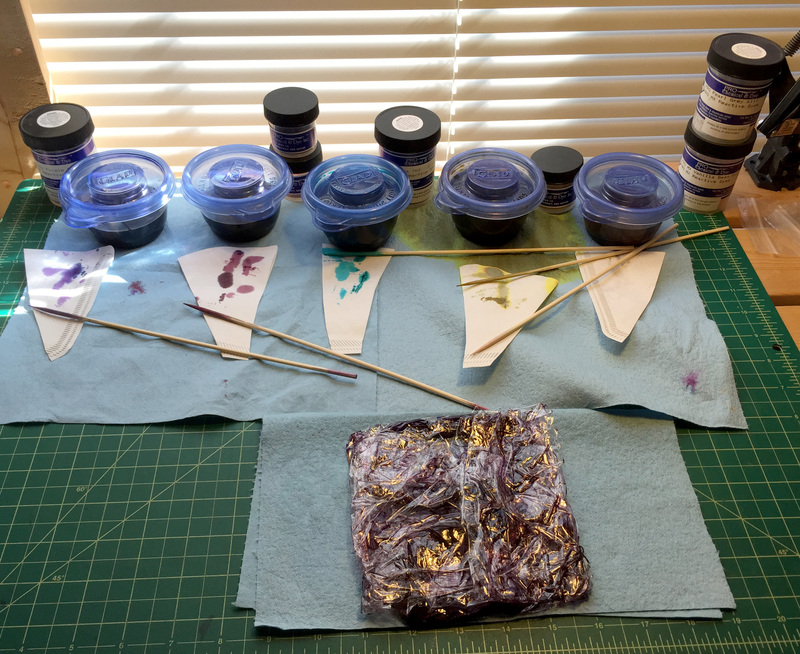 This is mostly a restocking of steady colors – purple, maroon (finally! ), pearls, turquoise and shamrock. Yes, the bright turquoise cotton and the shimmery shamrock green silk come from the same dye bath, just different fibers. It’s also been a long time since I’ve had any variegated wine colors, so I did some handpainting on both a cotton hank and a silk hank, with just two colors instead of the usual three. How those turn out will be a pleasant mystery. I’m also dyeing more of the color I refer to as Cambridge Blue, which is a pale color that isn’t quite blue, green or gray. That’s the spillage you see, which looks awfully green right now. That has little bearing on the final color. It’s only the second time I’ve made this color, and I’m also trying it in silk. Might be gorgeous. Might be mud. I will find out in a couple of days. Dye bath happened on Saturday. Rinsing will happen on Monday, and when the fiber gets completely dry, I’ll post the results!